Juventus will be aiming to round off a glorious season by completing a domestic league and cup double. But given the Turin giants finished the Serie A season unbeaten, this season will surely remain etched into the minds of Juve supporters regardless of the result against Napoli. Yet victory in the cup would make this team legendary, and the Old Lady of Italian football are available at a generous looking 19/20 to win in normal time. Recent meetings between these two sides have been exciting high scoring affairs, with the 3-3 draw in Naples back in November as thrilling a match as there was in the Serie A season. 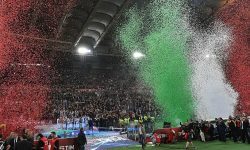 Attempting to spoil the party are a Napoli side who, as they have proved on countless occasions this season, are capable of playing some of the most attractive football on the continent. They are priced at 57/20 to record a win in bwin’s 3Way football betting market, while the draw is available at 47/20. Each of the last seven encounters between these sides have seen more than 2.5 goals, and the price of evens for a repeat of that looks a nailed on selection at an extremely attractive price. Similarly, the price of 21/20 for Juventus to score over 1.5 goals in the match looks like offering real value. If goals look almost certain and Juventus are the overwhelming favourites, then combining a Juve win with over 2.5 goals at a price of 11/5 looks tremendously appealing. By using bwin’s £25 free bet, punters secure winnings of £80 by successfully betting on this outcome.